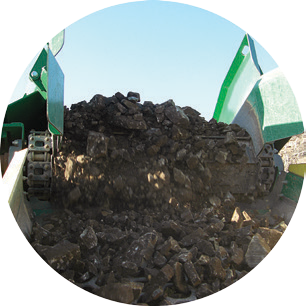 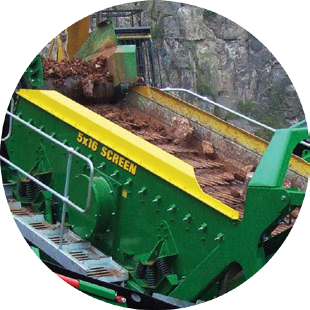 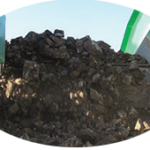 R155 SCREENER – Bison Iron Corp. 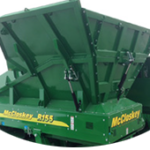 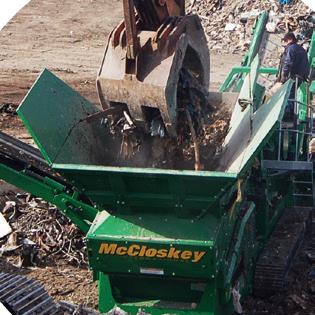 The McCloskey™ R155 High Energy 16’x 5’ Screener is a tough, robust tracked scalper designed to deal with the heaviest applications. 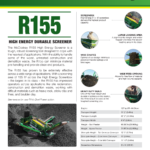 With a screening area of 155 ft² the “High Energy” Screen box on the R155 has impressed operators across a wide range of applications. 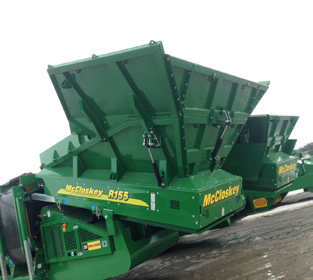 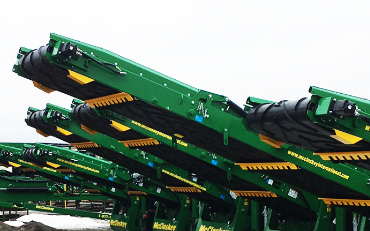 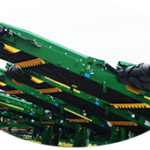 The McCloskey™ R155 High Energy 16’x 5’Screener is a tough, robust tracked scalper designed to deal with the heaviest applications. 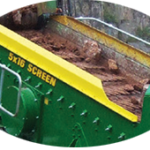 High Energy 5’ x 16’ screenbox delivers the highest product capacity. 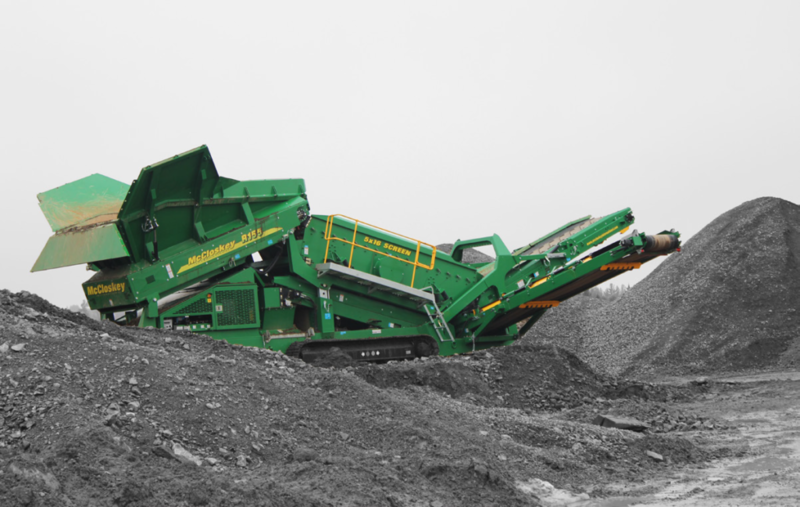 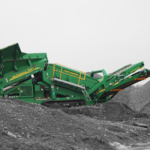 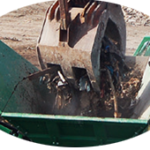 A significantly longer and wider hopper provides the largest loading area in its class. 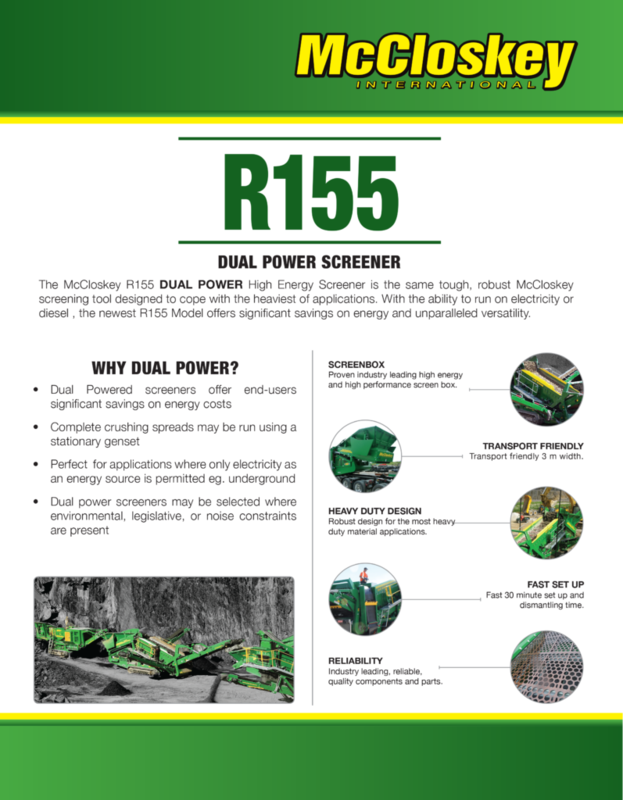 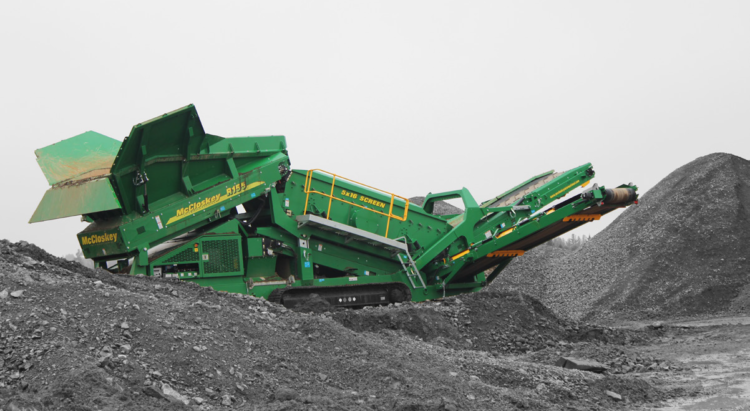 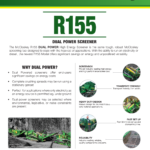 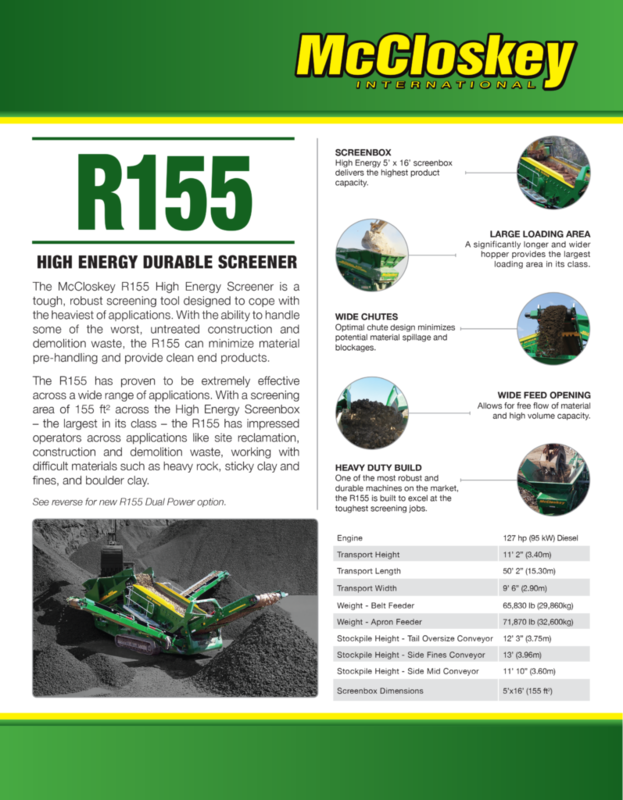 One of the most robust and durable machines on the market, the R155 is built to excel at the toughest screening jobs.